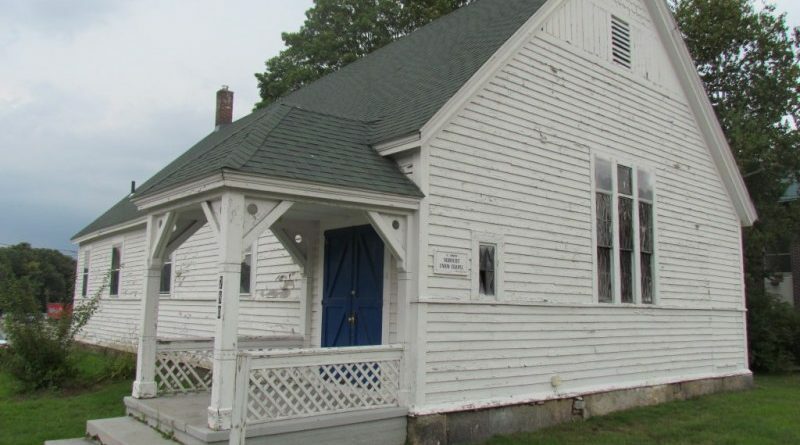 FRAMINGHAM – The Framingham City Council has asked the Massachusetts Inspector General to rule who has the authority to award a bid for the City-owned Nobscot Chapel on the corner of Water Street and and Edgell Road. City Council Chair Dennis Giombetti wrote a letter to Massachusetts Inspector General Glenn Cunha, on behalf of his Council, on March 11, to determine who has the authority to issue and award a request for proposal for a buyer to purchase city-owned real estate. Councilors Voted 8-0-1 last week to ask the Chair to write a letter to the state. District 2 City Councilor Pam Richardson chose to abstain. authorized by Town Meeting when Framingham was still a Town. Framingham became a city on January 1, 2018,” wrote Giombetti to the Inspector General. “The City’s purchasing officer has interpreted the provision authorizing the Board of Selectmen to complete the sale, to automatically transfer to the Mayor, individually. The City Council questions whether the transfer from a multi-member board to an individual may not be within the legislative intent of the special act,” wrote Giombetti. The City Solicitor, hired by the Mayor, also concurs with that interpretation, but the City Council is not 100% on board with the interpretations. “The Council would welcome the input of the Inspector General as to whether or not the transfer of this authorization is appropriate with the legislative intent and the purchasing law, or would the City be better served seeking new authorization?,” wrote the City Council Chair. A 2013 Town Meeting vote authorized the Framingham Board of Selectmen to dispose of the property. The City Charter requires all Town Meeting votes remain in effect, unless amended, repealed or rescinded by the City, or repealed by the Charter. “I should note the council does not question nor have concerns regarding the RFP process conducted by the city but with the interpretation of the transfer of jurisdiction from a multi-member body to an individual, Mayor,” wrote Giombetti. The City put out an RFP for the chapel late last year. There were only two bids – Framingham resident Rick McKenna (and several silent investors) and the owner of the Nobscot Plaza Andy Rose and CenterCorp Retail Properties. In February, Mayor Yvonne Spicer awarded Rose the winning bid. On February 20, Rose accepted the City’s terms and is now negotiating with the city on a purchase and sale agreement for the Chapel located at 780 Water Street. The winning bid was $50,000. McKenna’s bid was $40,001. Rose plans to move the historic chapel to where the former Texaco gas station once stood, so he can constrict a CVS on the corner of Water and Edgell.